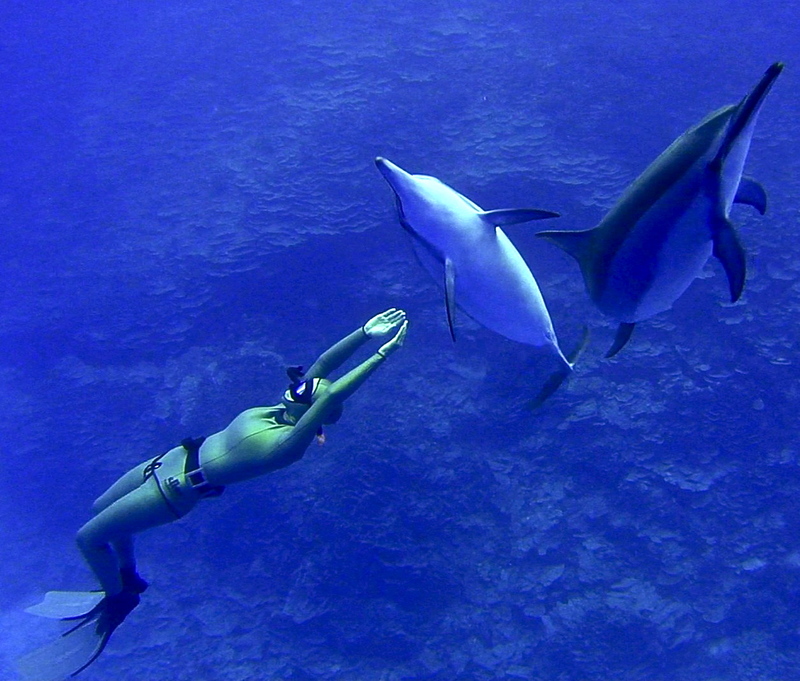 Humans share some adaptations with dolphins, whales and seals: the dive response, which minimises the body’s use of oxygen and protects it from hypoxia (low oxygen). The dive response is the name given to a group of reflexes all mammals possess. It is the most important aspect of breath-hold, as it protects the human body from any adverse hypoxic effects. The dive response is an oxygen conservation mode – like fuel economy mode in a car – and its purpose is to optimally manage the body’s oxygen stores. It ensures constant oxygen supply to the most important parts of the body during a breath-hold – notably the heart and brain – and minimises the rate that oxygen is consumed in other unessential areas. Much like other aspects of human physiology, like strength, flexibility or cardiovascular efficiency, the dive response can be improved through specialised training. In elite divers, the body’s use of oxygen becomes highly efficient (similar changes, albeit smaller, are seen in synchronised swimmers). For instance, trained divers may hold their breath for three minutes with no effect on the oxygen levels in their blood; for a world record level diver, this may be true for a breath-hold of over five minutes. Of course, this is the result of years of slow improvement training under experienced instructors. It does not happen overnight! What does the dive response do? In deep diving, increased blood flow to lungs allows the blood vessels to expand as the pressure increases and air spaces begin to shrink, protecting the lungs from the pressures at depth. This process reverses itself as the diver returns to the surface.